Material: Shell fabric: 100% nylon. Lining: 100% nylon. Padding: 100% polyester. Fur: 55% acrylic, 37% modacrylic, 8% polyester. 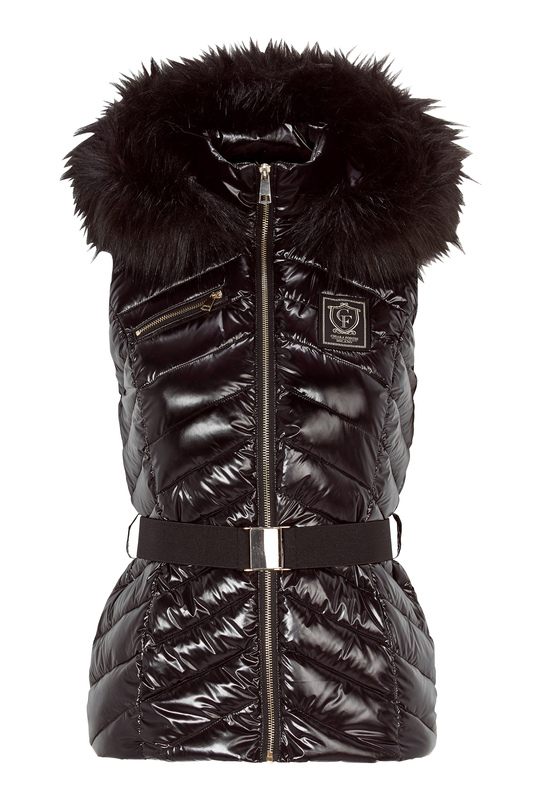 Luxurious gilet with gold details from CHIARA FORTHI. A gilet for those who want that little extra. Oblique quilting that creates a beautiful silhouette. Total length of garment is 64 cm in size 36.